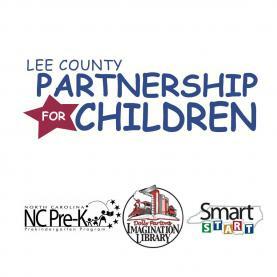 Founded in 1997, Lee County Partnership For Children is a treasured community asset that is dedicated to building partnerships to ensure that all children in Lee County enter kindergarten healthy and ready to succeed. LCPFC has oversight over 2 state-funded programs in our local area — Smart Start and NC Pre-K.
LCPFC has 5 key areas of emphasis, including Care & Education, Family Support, Health Promotion, Community Impact and Young Children Advocacy. The organization is able to provide funds, programs and support for children, families, child care professionals and other facilities and organizations, in order to help all children in our community reach their full potential. You can learn more about this special Mann Center of North Carolina tenant by calling 919-774-9496, emailing karey@leccountypfc.org, or by visiting the LCPFC Facebook page.